There's one week left in Black History Month. Have you done anything in recognition of it? Like many people, I believe African-American history is American history, so February is just an opportunity to pay tribute to people and moments that don't often get the recognition they deserve. 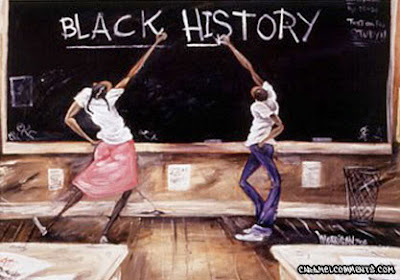 For the next five days, Monday through Friday, I'm going to blog about a local person or organization that is making a significant contribution to Black History. This isn't something I initially was planning to do, but over the past couple of weeks I've had the privilege to come in contact with and/or learn about some great local efforts that are trying to help move black people forward. As a black person, I'll be one of the first to say that my race is falling behind greatly in areas of education, employment, health, and other social aspects--and I'm not one of those who blames the "man". So I applaud the people who are working toward change rather than complaining, and who are uniting rather than dividing. I'll be spotlighting them here on GrownPeopleTalking.com so be sure to check back each day this week.